Feeling depressed? 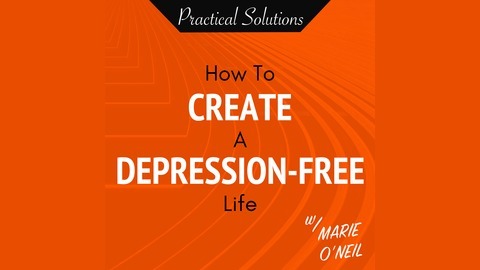 Join Life Coach + Author of How To Create A Depression-Free Life – Marie O’Neil, as she reveals time-tested, self-help strategies for depression, bringing light and solutions to the darkness of depression. In this show, you’ll uncover how to overcome depression with highly-effective, tips, tools and techniques. 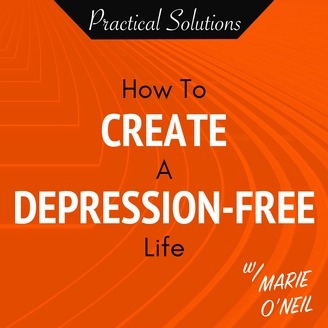 You’ll discover innovative ways on how to rapidly get through depression and when you subscribe to the Create A Depression-Free Life Show, you’ll always have regular depression help available, at your convenience. Show notes for each episode, featured links, access to a Free Sample of the book: How To Create A Depression-Free Life and various other resources can be found at: http://createadepressionfreelife.com/ If you’ve always wanted to discover how to deal with depression, and eventually create a depression-free future for yourself, then this show is for you! The post FREE Depression-Busting Resources – Overcome Depression + Thrive appeared first on Create A Depression-Free Life | Depression Help | What To Do When Depressed? | Self Help Strategies For Depression.